Even though commercially, a couple of other channels have utilized the time and space to grab the support of the television viewers, programs telecast on Amrita TV creamed with novelty have always mesmerized the spectators. While closely viewing each program, any one feel the spirit of freshness. After the grand success of trendsetting shows 'Super Dancer' and 'Super Dancer Junior' which has nurtured individual dancing talent, the channel is aiming to encourage pairs to showcase their skills will be supported by professional choreographers who would work along with each team to inculcate innovation and liveliness to the new show. 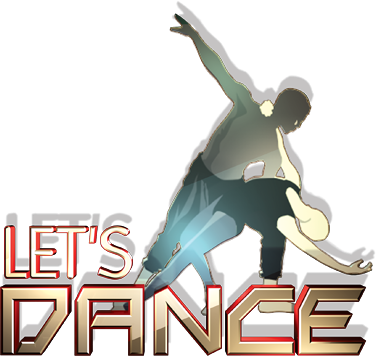 Titled 'Let's Dance', the dance reality show for couples to dancing in pairs with the support of music will start telecasting from 21st July 2014. Set for pairs in the 15-30 age groups, the competition include a wide range of different and international dance styles with round-by-round elimination. 'Let's Dance will be aired from Monday to Thursday between 7 and 8 pm with 100 episodes planned. As in its previous seasons, Malayalam actress Sija Rose will continue as the anchor in the third edition too. Out of the 500 entries received from across Kerala, twenty young couples made into the show. With 100 hours of solid boogie, 'Let's Dance' will be mounted on spectacular sets with dazzling lights, LED Walls and eye-catching sound systems. The competing pairs will get opportunities to showcase a variety of Indian, cultural and international dance styles including classical, contemporary, Bollywood, hip-hop, jazz, Kalarippayattu and Salsa. Samba which needs exceptional dance steps and musical theatre styles would be performed on the stage. Performers dressed in varied of costumes would bring more excitement on the spectators. An expert panel consisting of renowned choreographers and celebrities would be in the judging seats encouraging and evaluating the participants. So hold your breath and enjoy yet another season of 'Let's Dance', which can even break your silence. Watch Amrita TV superstar the ultimate grand finale live on 19th May 2012. You can watch Superstar the ultimate grand finale live on television or online in those sites which live stream Amrita channel online. The program will be musical treat for music lovers across the world. After the elimination rounds 5 final contestants will compete for the grand finale which is set for 19th May 2012.